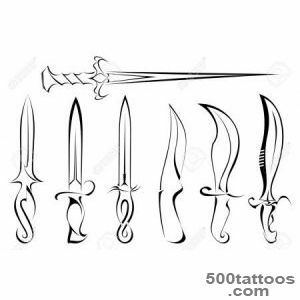 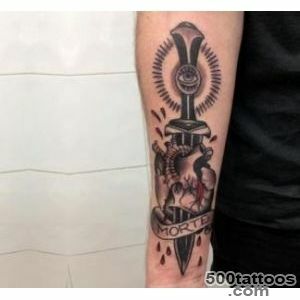 Tattoo knife set of values ​​, such as betrayal and loneliness , the accuracy of the actions ; It can be a symbol of military service , duality , suffering, freedom , achievements , revenge , agility , power , determination, steadfastness . 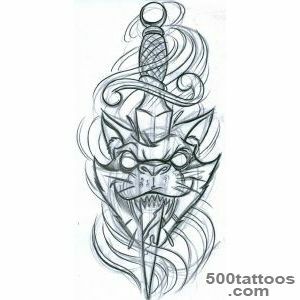 Sketch this tattoo is not difficult , and it may well fulfill any master . 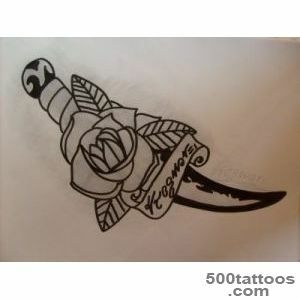 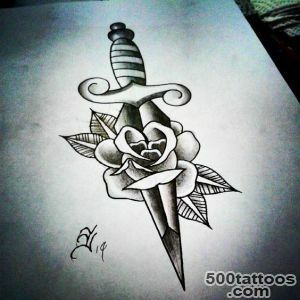 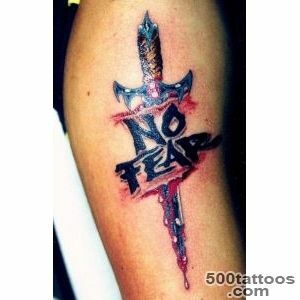 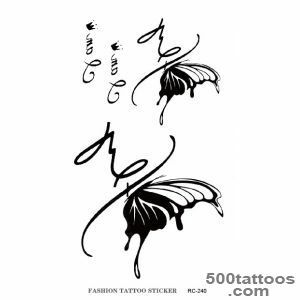 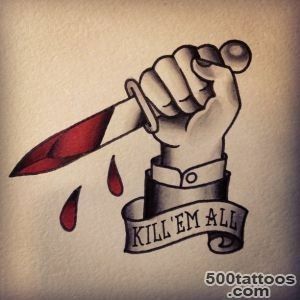 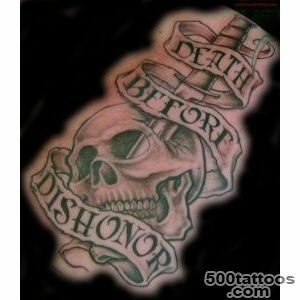 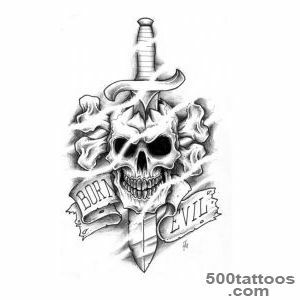 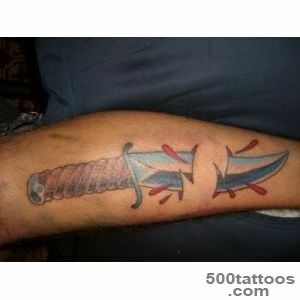 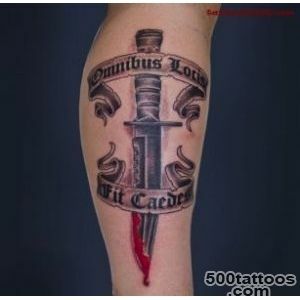 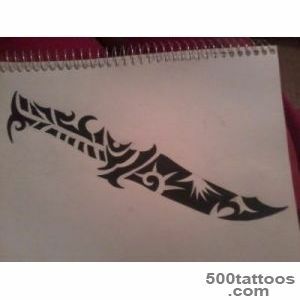 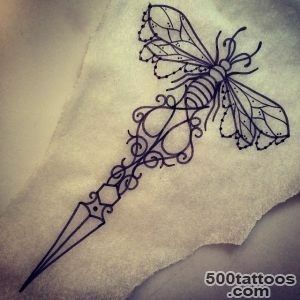 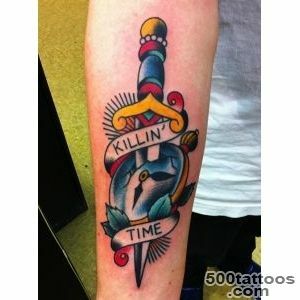 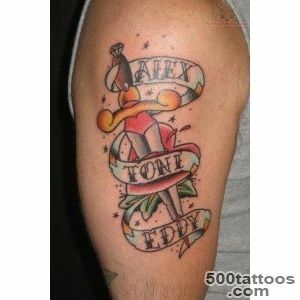 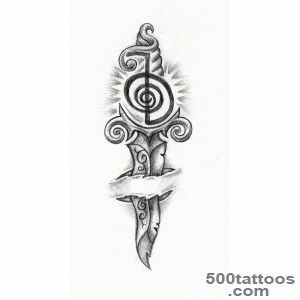 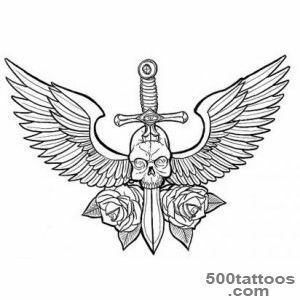 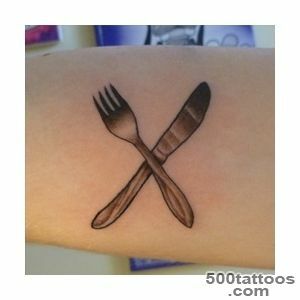 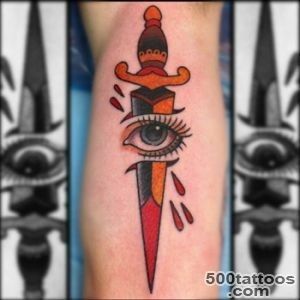 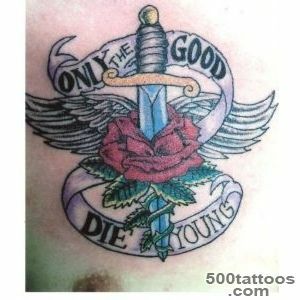 Besides,the value of the knife tattoo depends on the combinations , which combined tattoo . 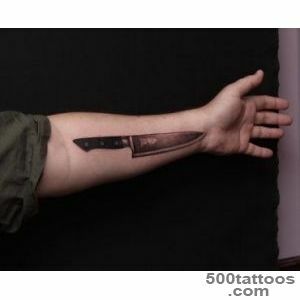 Tatu , where the blood drips from the knife , takes the value of willingness to take any action , without regard for the consequences . 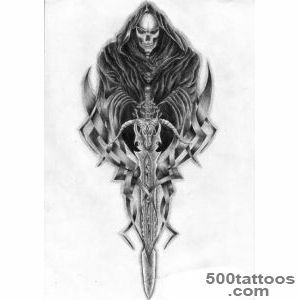 The combination of a knife and a skull represents death , or a talisman - amulet . 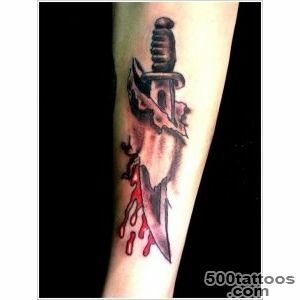 A knife in the heart is a betrayal in love relationships .Often, this symbol is cruelty and vindictiveness . 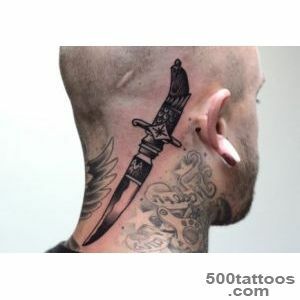 The combination of a knife and a human head corresponds to a symbol that prick during the war . 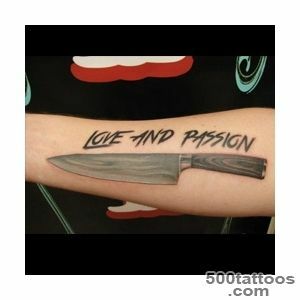 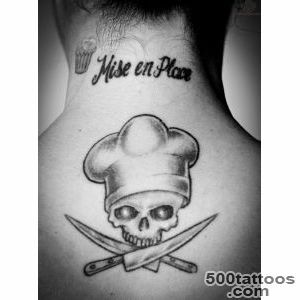 Tattoos , which has a knife and the meat is cynicism or insult . 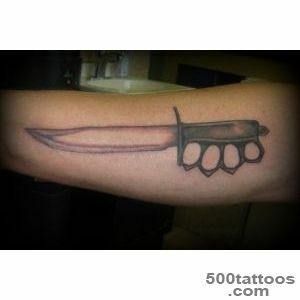 Quite often the knife combined with various elements packed into prison . 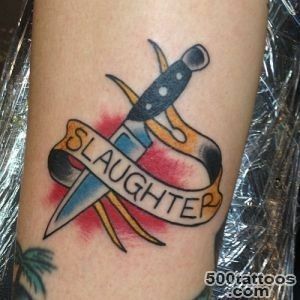 For example , the devil ,which is pierced by a dagger , will have a value of anti-Semitic tattoos . 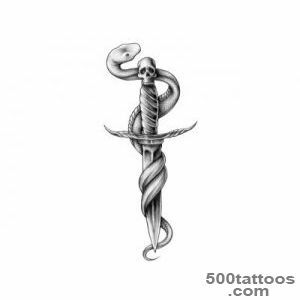 The dagger , which entwined snake is the personification of the thief or thieves group leader . 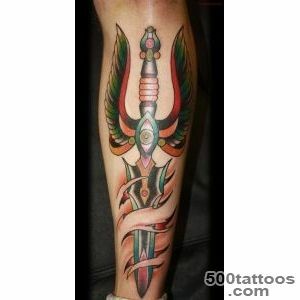 Remarkably , the Aztecs used a knife to respecting and honoring their many gods . 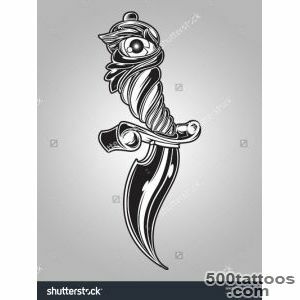 Quite often, the knife was a symbol of high status .In Buddhism, a knife represented liberation from material ties and bonds . 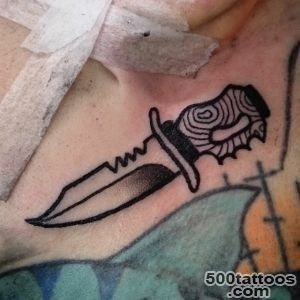 If you find the materialism of evil , the knife tattoo will help to get rid of materialism and greed . 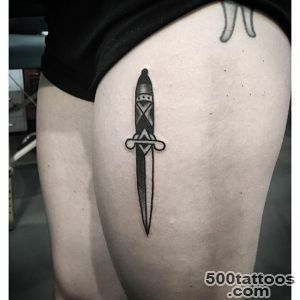 There are people who are committed to collect a collection of knives from the very beginning not understand , why did you choose such an unusual hobby ,but over time, many are beginning to love their collections , enjoying the clean blades , metal luster . 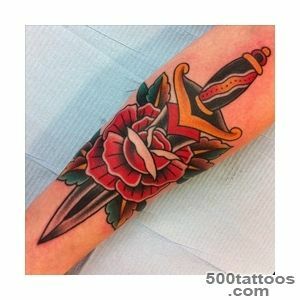 Previously, such a tattoo applied dark or black shades . 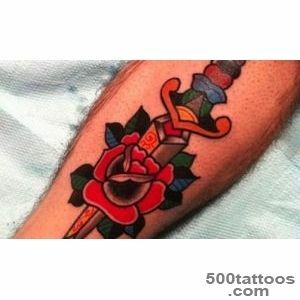 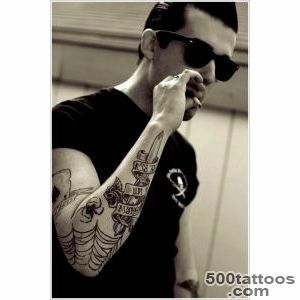 At present , these tattoos are doing already , and in color , most often in a style called " old school " . 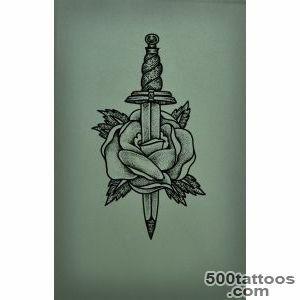 In addition , the actual knife has thumbnails in combination with roses , snake , heart, Various inscriptions . 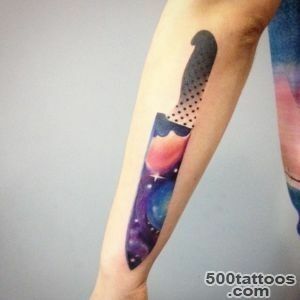 Tattoo knife helps to express people's feelings . 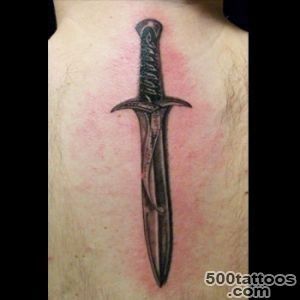 But it is worth beware of tattoo which knife is the embodiment of sacrifice . 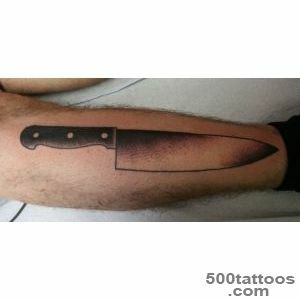 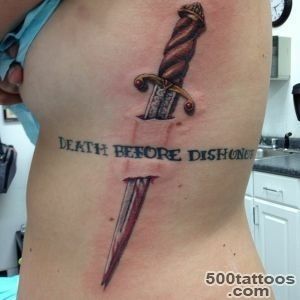 Often the knife tattoo done by people who are in the role of victim or have a purpose for which are even ready to die. 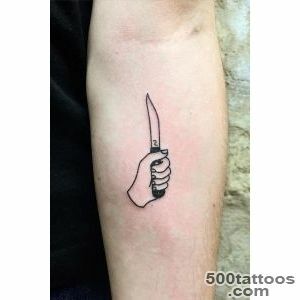 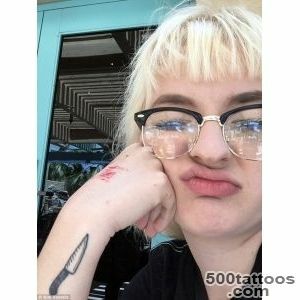 And remember : whatever the knife tattoo sketch - most importantly,that it was unique ! 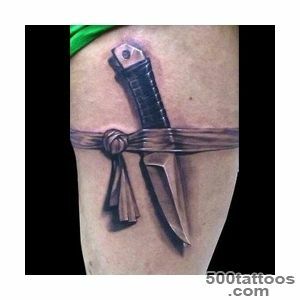 A below shows the photos of tattoos with a knife by different masters for your inspiration .